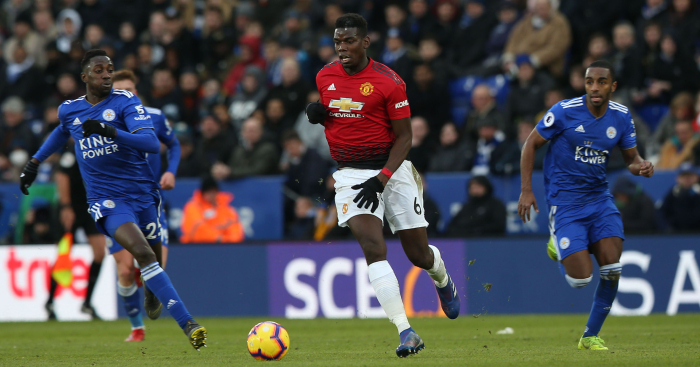 Paul Pogba continued his stellar form for Manchester United this weekend, while Sergio Aguero once again proved he’s the man in the Premier League for Manchester City. Away from Manchester, there was more Messi magic, and Shinji Kagawa had a debut to remember. We’ve rounded up the best of the action on and off the pitch from this weekend’s football. The goalkeeper’s performance was so good Watford’s Man of the Match vote was between his four limbs. Another week, another piece of excellence. That pass. That finish. These two are a lot of fun. A hat-trick, to extend this quite ridiculous record. A first goal for Monaco to secure the side’s first home win of the Ligue 1 campaign. Comes on to make Besiktas debut with nine minutes to go. Scores with his first touch, then adds this free-kick two minutes later. Phil Jones would have been proud of this kind of defending. There’s no need to do this really, and that’s exactly the point. The best own goal you will see for a while. A nice Burnley welcome for the big man. Ruben Neves described the knee slide as the “Premier League celebration” on Soccer AM so we decided to start a thread of them on Twitter. This was good from Son Heung-min. If you haven’t already heard it, this is the best commentary about an animal invading a pitch you’ll ever listen to. Can you name every club to ever appear in the Premier League?